We don’t celebrate our new year, but we can make it meaningful as a family. We (children AND parents!) created a flag with our goals for the year. It is something for them to think about every day. 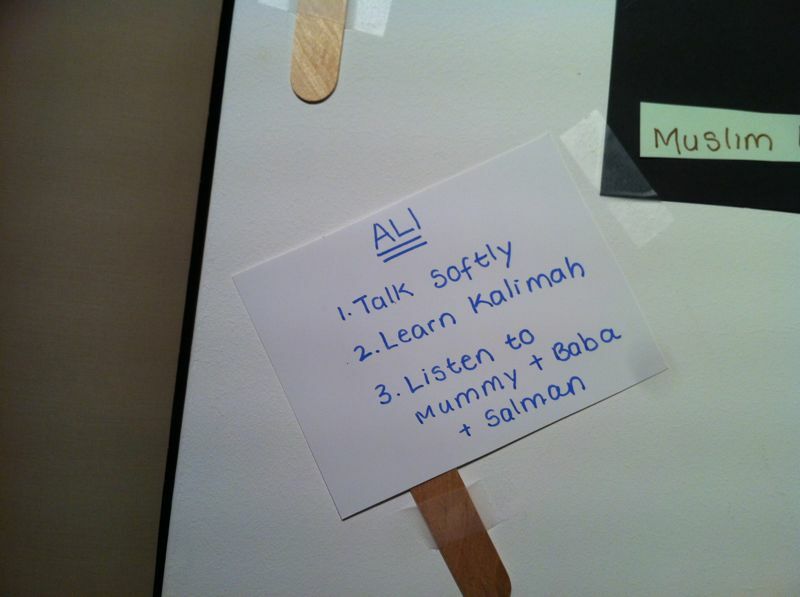 Perhaps a sticker can be given for each day the child and parent remember the Akhlaq they wish to make into a habit. NB: Goals can be anything! As well as an Akhlaqi goal, why not have a goal for the body, the brain, the soul… increase or decrease this according to the age of the child.